Boho Chic Baby Clothes and Nursery Decor! Made in the USA. Woodland Mom Fox Boho Baby Bodysuit, Boho Baby Clothes, Woodland Baby Clothes, Bohemian Baby Romper, Tribal Baby outfit, Hippie Baby Outfit! 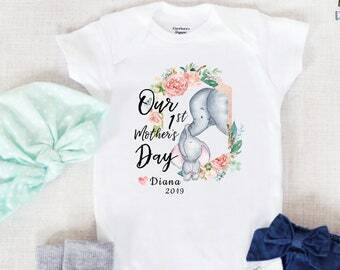 1st mothers day onesie®, Elephant Mom and Baby Bodysuit, mothers day gift from baby, happy mothers day onesie, mothers day baby girl outfit! >> All items are usually shipped within 2 to 5 business days. Earn more Points for different actions, and turn those Points into awesome rewards! Nursery Decorations • Children's Room Decor • Birth Announcements • Birthday Outfits • Baby Onesies® • Baby Accessories • Baby and Toddler Graphic Tees • Baby Girl Leggings • Baby Boy Clothes • Baby Girl Clothes • Unisex Baby and Kids Clothes • Personalized Baby Clothes • Baby Shower Gifts • Kids Birthday Gifts • Personalized Child Room Decor. Sloth Baby Blanket, Slow Down Fleece Blanket, Sloths Nursery Decorations, Birthday or Baby Shower Gift, Sloth Boy Bedding, Newborn Swaddle. Teepee stripes Baby Leggings, Boho Baby Clothes, Bohemian Girl Pants, Tribal Baby Girl, Hippie Baby Outfit, Hispter Toddler Clothing! Wolf and Baby Plaid onesie®, Wolf Mom and Baby Bodysuit, Mothers day gift from baby, happy mothers day onesie, mothers day baby girl outfit! A very good product and came as expected! I bought a cute little onesie for a friend and it came out great! Wonderful quality and quick shipping. Thank you again! Very nice print on leggings and good quality material. Thank you! New Boho Woodland theme Nursery decorations and Baby Clothes! 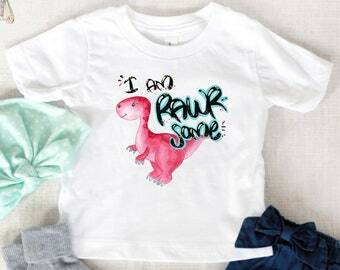 Adorable gifts for your cute little girl! Be Brave Little One Crib Sheets, Watercolor Woodland Nursery, Baby Boy bedding, Forest animals nursery bedding, Boho woodland nursery decor! Uniquely designed Boho Chic Clothing and Nursery Decorations for your little ones! > > ❤ Welcome to Boho Baby Dreams! 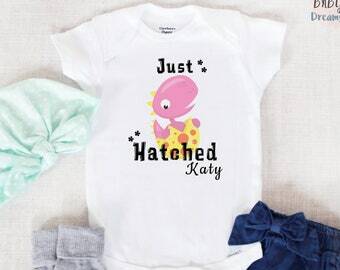 Delivering thoughtful and trendy Boho Chic baby clothes and nursery decor for your little one. We design fashionable, yet affordable clothing for babies, toddlers and kids up to 7 years old, inspired by Bohemian styles and hippie influences including nature-inspired colors, soft fabrics, floral and animal prints and ethnic Native American symbols! We love our Free Spirit moms and their little ones, reason why we thrive creating quality apparel and nursery decorations that are harmonious, beautiful and unique; understanding the need to explore the new world and search of new discoveries! > > ❤ All of our items are made-to-order, that means when you place an order with us, each product is created especially for you. Thank you very much for joining our community and being part of Boho Baby Dreams! All items are usually shipped within 2 to 5 business days. Delivery time vary depending upon destination and can take from 3 to 6 business days after your order has shipped. For orders outside the USA, please consider ordering with at least one month in advance. Please note shipping costs may vary depending upon country of destination. Generally, International orders are delivered in 2-3 weeks. * International Buyers are responsible for tariffs, customs dues, and any other fees charged upon the package entering their country. The actual price and weight will be shown on customs forms, in compliance with US laws. We do not accept any returns or size exchanges. In the unlikely event that your item(s) arrive misprinted/damaged/defective, we will be happy to replace them or provide a full refund. Photos of the damaged item(s) are necessary. *ALL PRODUCTS PURCHASED IN ANY OF OUR SHOPS (ETSY STORE OR WEBSITE) ARE FOR PERSONAL USE ONLY. *YOU MAY NOT RESELL ANY PRODUCT, COPY OUR DESIGNS OR USE THEM TO SELL ANY OTHER PRODUCTS. BY ANY MEANS YOU ARE AUTHORIZED TO COPY OR USE BOHO BABY DREAMS DESIGNS, PHOTOS AND / OR PRODUCTS FOR COMMERCIAL PURPOSES UNLESS OTHERWISE AGREED BY BOTH PARTS. Additionally when you make a purchase or attempt to make a purchase through the Site, we collect certain information from you, including your name, billing address, shipping address, payment information (including credit card numbers, paypal account payment information), email address, and phone number. We refer to this information as “Order Information”. We share your Personal Information with third parties to help us use your Personal Information, as described above. For example, we use Etsy and Shopify to power our online store--you can read more about how Shopify uses your Personal Information here: https://www.shopify.com/legal/privacy. We also use Google Analytics to help us understand how our customers use the Site -- you can read more about how Google uses your Personal Information here: https://www.google.com/intl/en/policies/privacy/. You can also opt-out of Google Analytics here: https://tools.google.com/dlpage/gaoptout. What's the current Turnaround time? All items are normally shipped within 2 to 5 business days. At Boho Baby Dreams, we know that when you buy online, you want to get your order fast! So we work hard to ship your order as quickly as possible. What is the size of the product / How many are included in a set? Each one of our listings include a detail description of the products. If you would like to get more information in regards to the size, color scheme, and other specifications, please refer to the product description located right underneath the item images. High-temperature washes can fade and crack the print, and high-temperature dryer settings can shrink the garment, as well as damage the print. Machine wash cold, inside-out, gentle cycle with mild detergent and similar colors. Use non-chlorine bleach, only when necessary. No fabric softeners. Tumble dry low or hang-dry for longest life. Cool iron inside-out if necessary. Do not iron decoration. Do not dry clean. If any of the items require special care instructions, they will be added to the item description for your reference.